Andrew Skea, second left, with some of the potato enthusiasts at the Strathmore Tattie Day. Scotland’s long-standing passion for potatoes was in evidence in Perthshire at the weekend when gardeners, allotment owners and self-confessed spud addicts turned out in force for the inaugural Strathmore Tattie Day. 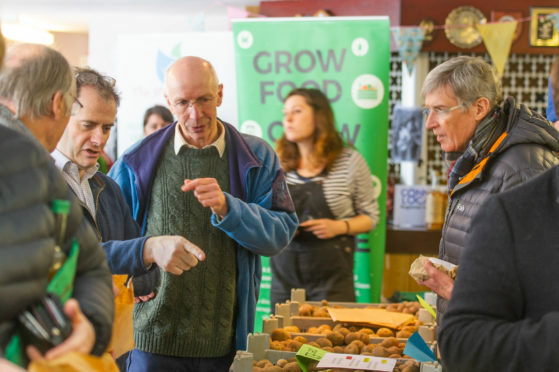 National potato sales face sustained competition from pasta, quinoa and rice, but the lure of dozens of rare and heritage seed varieties attracted enthusiasts from across the country to Coupar Angus who came to buy, talk and savour every aspect of potato production. The seed was supplied by Dundee grower Andrew Skea who devotes 20 acres to speciality varieties such as Arran Victory, Mayan Twilight, Edzell Blue and Pink Fir Apple. His key markets are in Germany, Scandinavia and other parts of Europe where virus issues make it too difficult to grow seed. 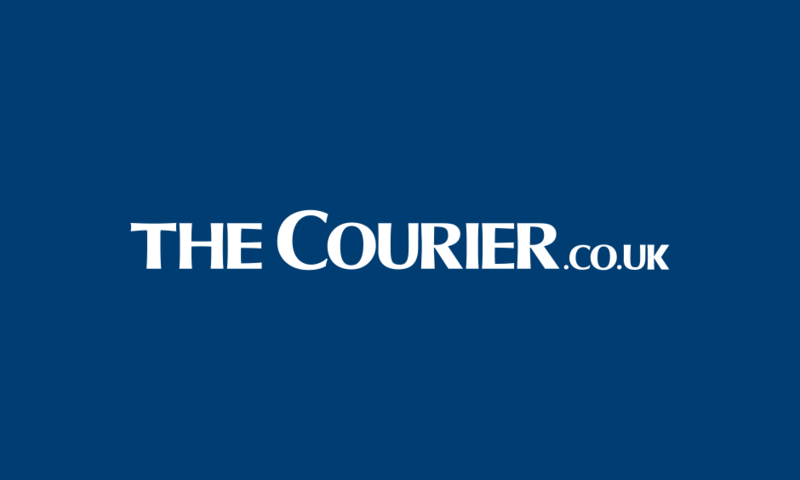 “Scotland is an ideal place to grow seed potatoes and we have been able to keep these old varieties ticking along healthily,” he said. “Some of them have weaknesses but the fact they’re still here 100 to 150 years after they were bred is testament to the fact they have strengths as well. But Mr Skea said heritage varieties would always be a niche market because they have characteristics which aren’t conducive to selling on a bigger scale. He added: “Arran Victory, for instance, has quite deep eyes, so it’s difficult to peel, and others don’t store well but are great when they’re just harvested. John Marshall, a lifetime potato enthusiast from Auchtermuchty, said there was nostalgia for old varieties although the trend towards eating more processed potatoes meant young people were less aware of the options. “Whenever I do talks to rural groups, older people reminisce about varieties, but half of all the potatoes consumed are now processed in the form of frozen chips or crisps and we are in danger of losing that heritage,” he said. The event was part of the ABC and Beyond initiative which aims to connect food producers, growers and consumers.